Brett A. Richardson serves as the Director of Bands, Coordinator of Music Education, and an Assistant Professor of Music at the University of the Incarnate Word (UIW) in San Antonio, Texas. He holds the Doctor of Music degree in Wind Conducting from the Indiana University Jacobs School of Music under Prof. Stephen W. Pratt, a Master of Music with emphasis in Wind Conducting from Texas A&M University-Commerce under Dr. Bradley N. Kent, and a Bachelor of Music Education from Stephen F. Austin State University under Fred J. Allen. Other professional mentors include Jeffrey D. Gershman, David W. Campo, Steve Smith, Julie Jezek, Christopher Anderson, Jimmy Clark, and Debra Scott. Prior to his appointment at UIW, Dr. Richardson proudly served as an Associate Instructor with the Indiana University Jacobs School of Music Department of Bands/Wind Conducting and as the Resident Conductor for the Southern Indiana Wind Ensemble based in Bloomington, Indiana. Previously, he served as the Assistant Director of Bands at his alma mater, Stephen F. Austin State University, and as a music educator in the Clear Creek and Lewisville Independent School Districts. In addition to frequently serving as a clinician and adjudicator for bands of all levels, Dr. Richardson has conducted numerous junior high and high school All-Region and All-City Honor Bands, as well as serving as a guest conductor at the Midwest Clinic and the Texas Music Educators Association (TMEA) Clinic/Conference. 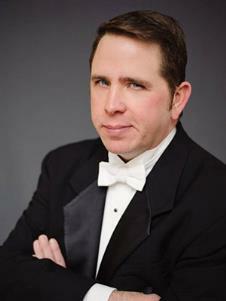 He is also in demand as a clinician for music education conferences with appearances at the conventions of the Kansas, Louisiana, Massachusetts, Nevada, and Texas Music Educators Associations, as well as the Texas Bandmasters Association, CBDNA National Athletic Band Symposium, and the Midwest Clinic (twice). In 2016, he received an Honorable Mention and was named a Semi-Finalist in the College/University Band Conducting category of the American Prize competition. Dr. Richardson has been published in the TMEA Southwestern Musician, Texas Bandmasters Review, and Praxis: The Electronic Journal of the Center for Music Education at Sam Houston State University. An advocate for American music, Dr. Richardson has conducted premieres and/or participated in commissions of works by Fred J. Allen, Brian Balmages, David Biedenbender, Jim Bonney, David Dzubay, Ryan Gee, Donald Grantham, Joni Greene, Onsby Rose, James Syler, and Benjamin Dean Taylor. In 2014, he completed a wind band transcription of Aaron Copland's Music for the Theatre, premiered by the Indiana University Wind Ensemble, and collaborated with composer Gabriel Lubell as conductor for the debut recording of Lubell's Jim, Jimi, and James on the album Studies in Light and Sound: An Album of New Chamber Music.